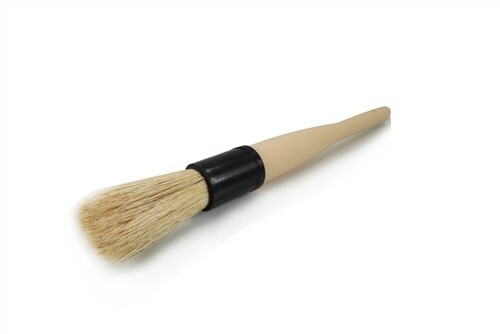 The Goat Boar's Hair Detail Brush is the ultimate interior and exterior detailing brush. The Goat features a long-life chemical resistant handle that is made of recycled plastics. The traditional tin coupling that holds the bristles has been replaced with a long-life plastic seal to reduce the change of scratching or cutting yourself while detailing. The Goat Boar's Hair Detail Brush can be used to clean wheels, trim pieces, seams, seats, consoles, buttons, vents, emblems and so much more. This high quality detailing brush has endless amounts of uses. It is gentle yest effective and will not scratch surfaces. 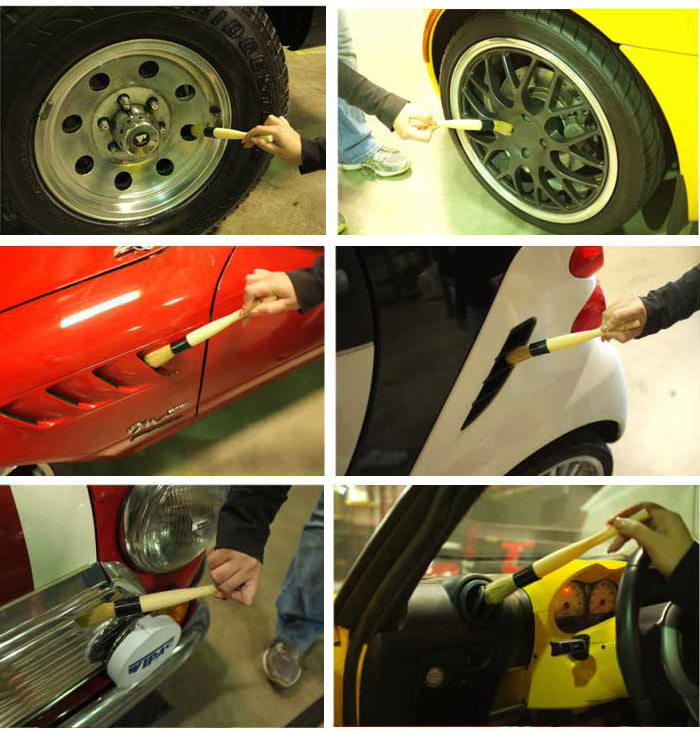 When cleaning wheels and rims, you do not need to ever worry about scratching the surface. The Goat can be used on all factory wheels and after market wheels. The 10 inch long brush features a 6.5 inch long handle with a 1.5 inch black neck and 2 inch bristles. The handle even has a hole for easy storage hanging.